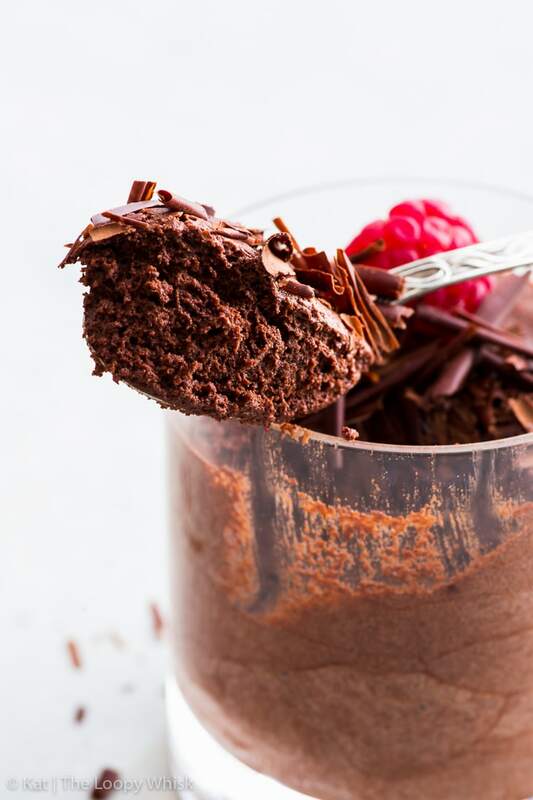 This vegan chocolate mousse is every chocolate lover’s dream. With only 3 ingredients, it couldn’t be easier to make. 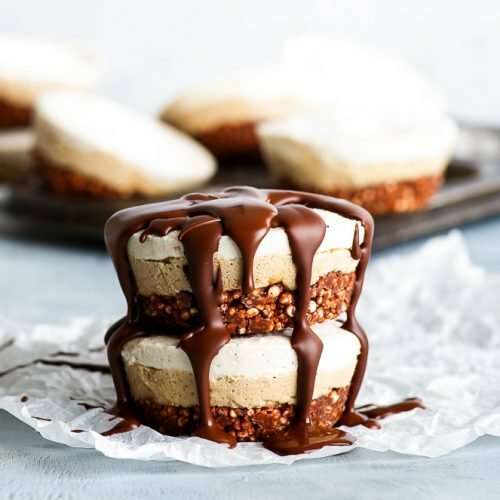 And the aquafaba gives this delicious vegan dessert the most amazing fluffy texture. Pure chocolate decadence. That’s what this recipe should be called. Or… sheer fluffy chocolate bliss. I love this recipe. 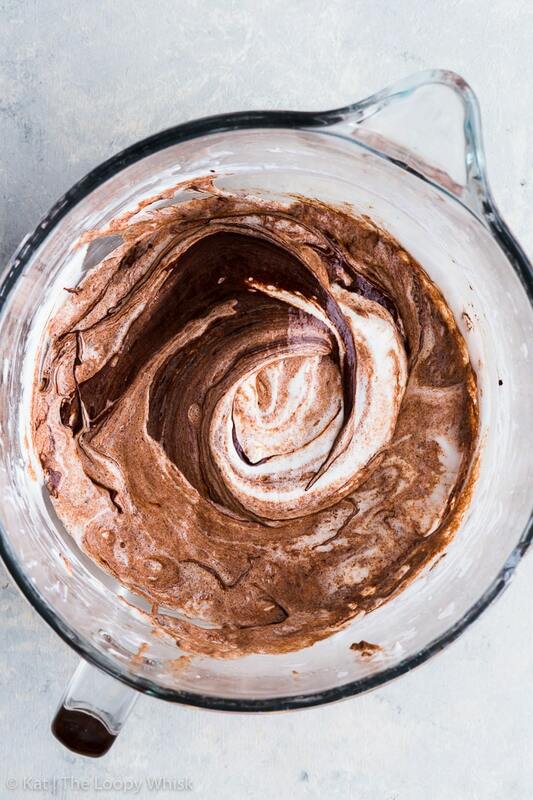 And I’m willing to bet the very last spoonful of this vegan chocolate mousse that you’ll love it too. That’s how certain I am. The basis of this vegan mousse is aquafaba – a previously overlooked and underappreciated ingredient that’s been making headlines lately. It’s everywhere. And with good reason too – unlike many trends and Pinterest hacks that usually don’t work (at all)… this one actually does. And it’s brilliant. 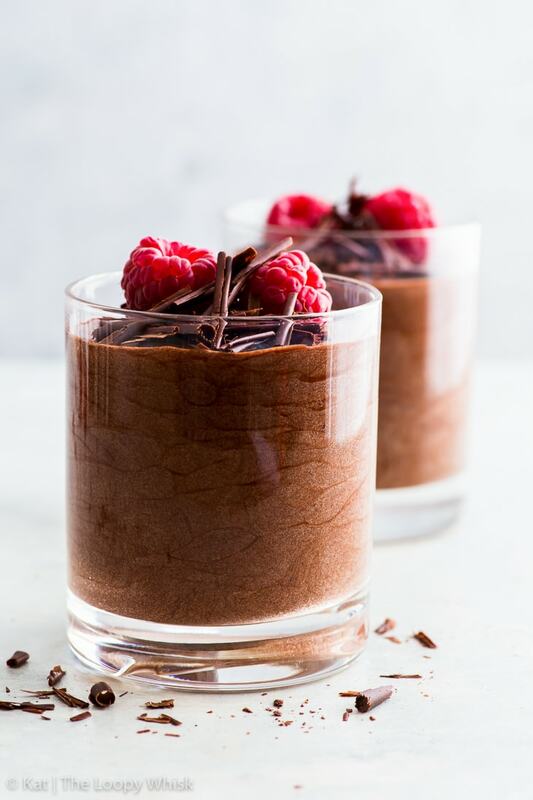 It’s the aquafaba that gives this vegan mousse it’s light and fluffy texture – and that, combined with deliciously rich chocolate, makes this simple vegan dessert every chocolate lover’s dream. Have I mentioned it’s incredibly quick and easy to make? And it only requires 3 ingredients, all of which you probably have in your pantry right now! We’ll get into the details of the recipe soon (spoiler alert: there’s a whole lotta whipping involved), but… first thing’s first. WHAT’S AQUAFABA AND HOW IS IT USED? Aquafaba is the fancier (and catchier) name for the chickpea cooking water. Generally speaking, the term can be applied to the cooking water of any bean, but chickpeas are the most common choice. And lately, it’s gotten so popular, it even has its own website! This complex mix of water, carbohydrates, proteins and soluble plant solids is every vegan’s dream. 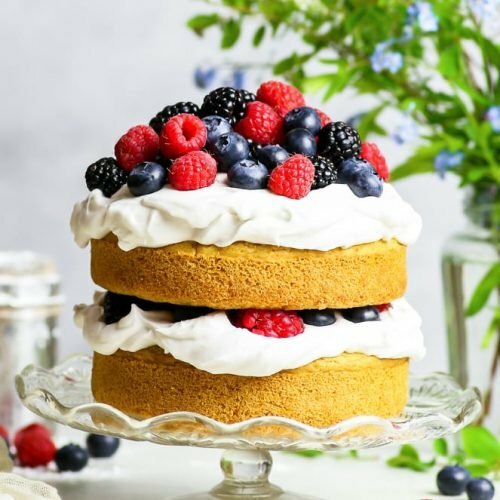 It has emulsifying, foaming, binding, gelatinising and thickening properties, which basically means that it can be whipped like egg whites and used to hold together cakes and other bakes (without them getting too crumbly)… just like egg whites. In short, aquafaba is pretty much the perfect egg white substitute, and the answer to the egg-free and vegan baking and cooking problems. Well, at least some of them. 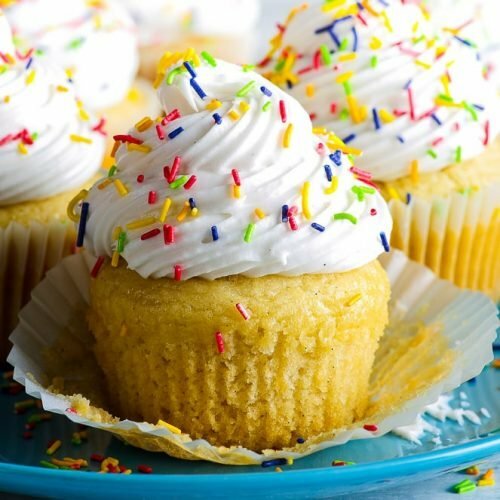 So far, it’s been used in everything from meringues and macarons, to muffins and cakes – with seemingly great results. I say “seemingly” because I used to be highly sceptical. The last time I tried whipping aquafaba, all I managed to get was a slightly frothy chickpea-tasting… soup? Not exactly encouraging. As it turned out, the blame wasn’t with the aquafaba. It was with my lack of patience. As you’ll see in a few paragraphs, 5 minutes can mean the difference between that frothy soup and soft fluffy perfection. Good old Wiki has a whole page devoted to it. A good overview (including its history… which apparently includes a Facebook group) in The Guardian. And, of course, an information-packed post in The Kitchn. It all starts with only 3 ingredients: a whole lotta high quality chocolate, aquafaba and sugar. First, we’ll melt the chocolate over a bain marie, aka a pot of simmering water. Once melted, set it aside to cool, while we whip up the aquafaba and sugar. Not all that impressive, right? It certainly wouldn’t make a very nice mousse. It’s tempting, at this point, to just give up and decide that this whole aquafaba thing is a scam. What a difference, right?! Look at that fluffy, airy perfection! Look how the peak holds its shape! 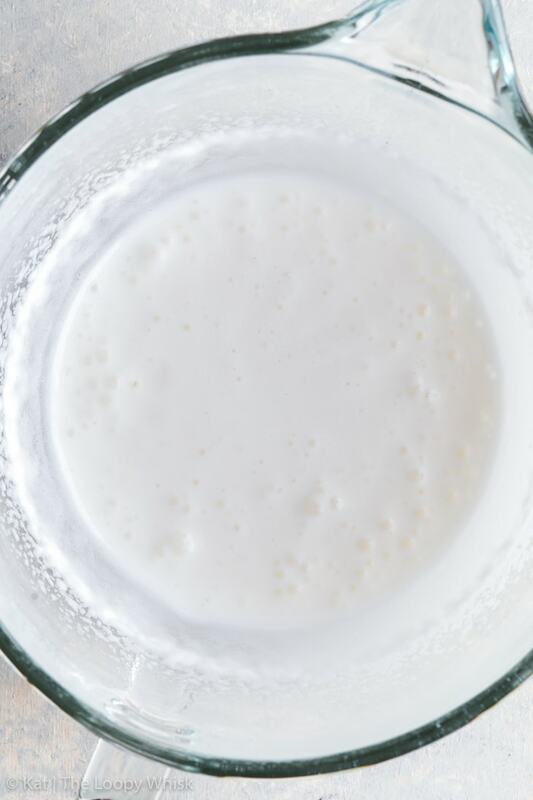 And the taste, the texture… oh my! 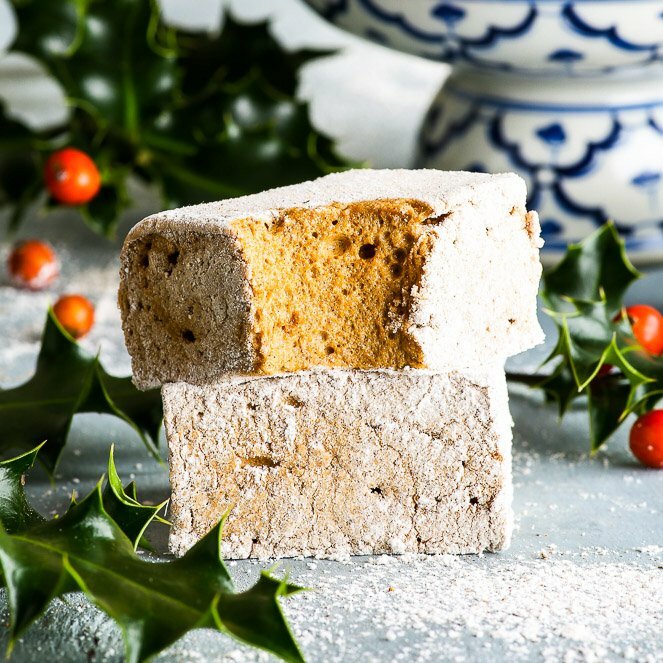 It’s almost marshmallowy in your mouth, all soft and cloud-like, only to melt away into sweet sugary nothingness. 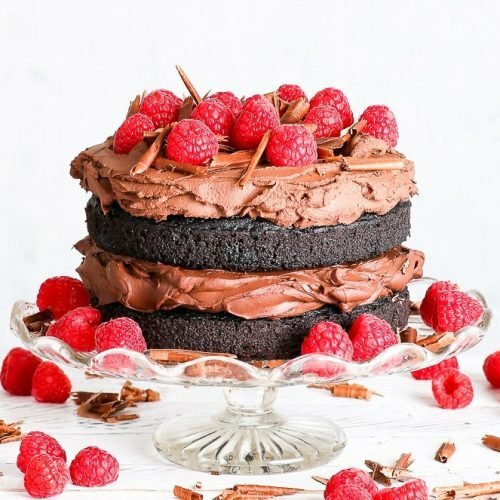 Finally, we’ll fold in the melted chocolate, which is undoubtedly the best step of the whole recipe – I love how the ribbons of chocolate form in the whipped aquafaba, like delicious chocolatey art. Then, all that’s left to do is to spoon the vegan chocolate mousse into glasses and refrigerate for at least an hour before serving. OKAY, BUT DOES IT TASTE LIKE “NORMAL” CHOCOLATE MOUSSE??? Ummm… yes. Very much so. 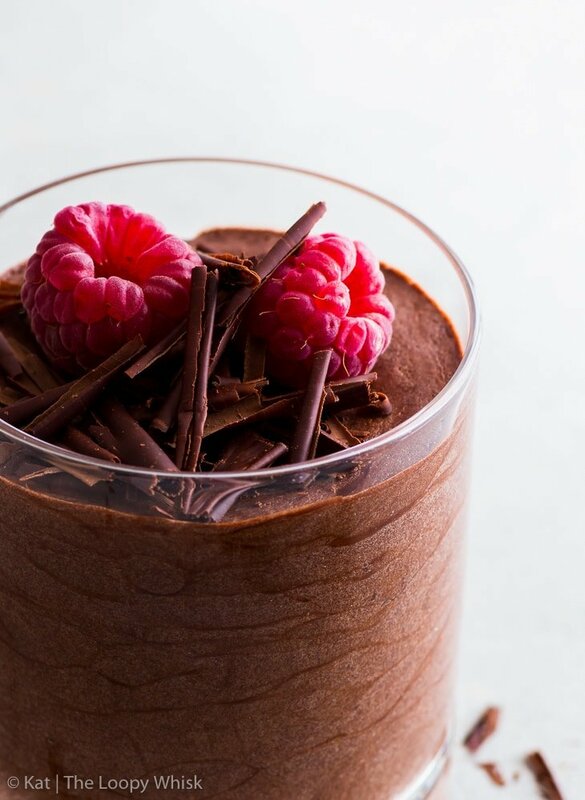 There’s nothing not to love about this vegan chocolate mousse. 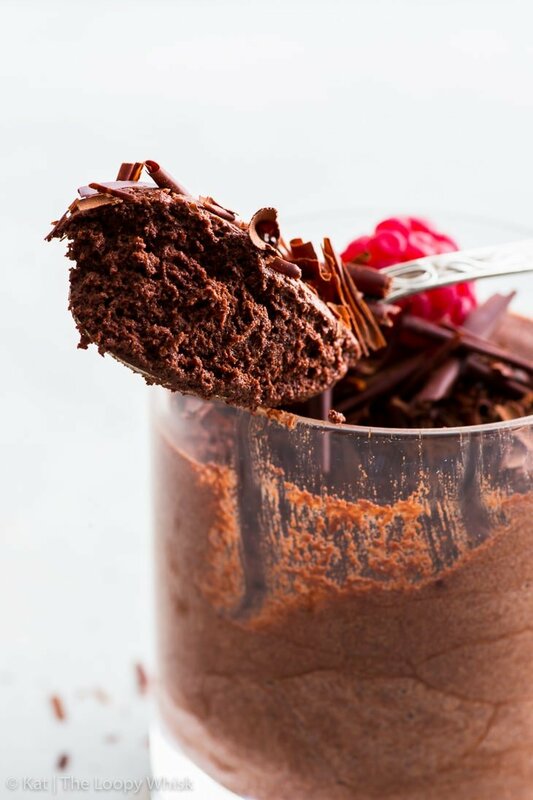 It’s as light and airy as the best chocolate mousse out there, with that luxurious texture we all know an love. 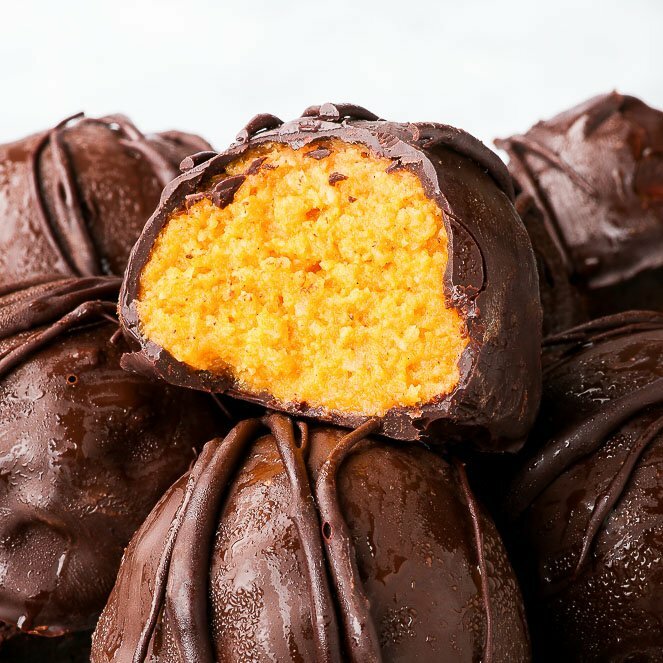 You can’t taste the chickpeas at all – it’s all sweet chocolate goodness. Just, without any eggs or cream and other dairy products. Which is amazing, even if you don’t have any special dietary requirements. 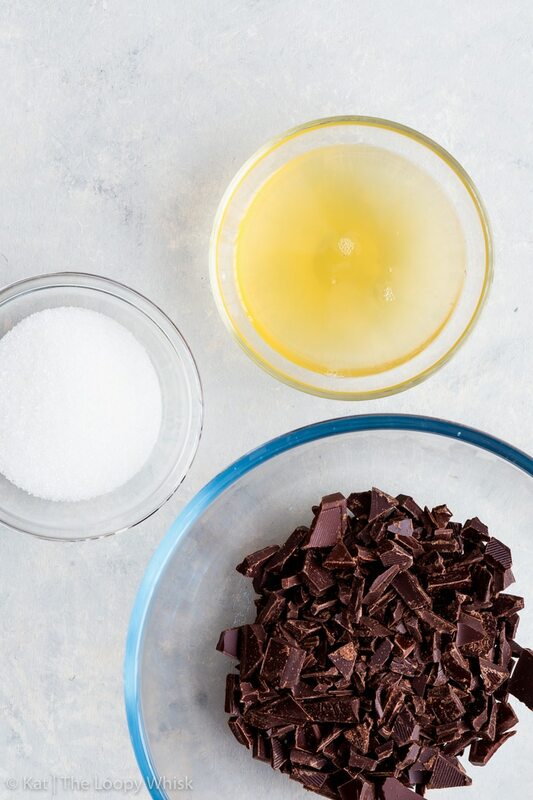 Because the absence of these other ingredients means that the chocolate has a chance to shine through in all its glory. 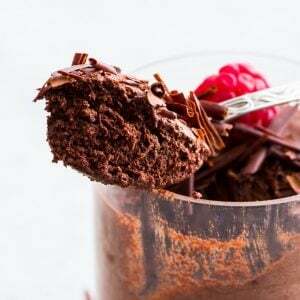 Of course, you could easily modify and tweak the mousse, perhaps with a dash of vanilla or a pinch of chilli powder. But in its essence, this dessert celebrates chocolate. And I’m perfectly okay with that. 1. Should I cook my own chickpeas, or can I use the aquafaba from canned chickpeas? Long answer: I prefer cooking my own chickpeas, simply because I know that there are no strange preservatives and additives in my aquafaba. In addition to possible health side-effects, I find that the additives often affect the taste (rather unpleasantly). 2. Why can’t I get my aquafaba to form stiff peaks? Not whipping the aquafaba long enough – see the post and recipe. You should whip them for at least 10 minutes. If you’ve cooked your own chickpeas, maybe the aquafaba isn’t concentrated enough – reduce it slightly by cooking off some of the liquid. Sometimes, adding a pinch of cream of tartar helps (it acts like a stabilising agent). 3. 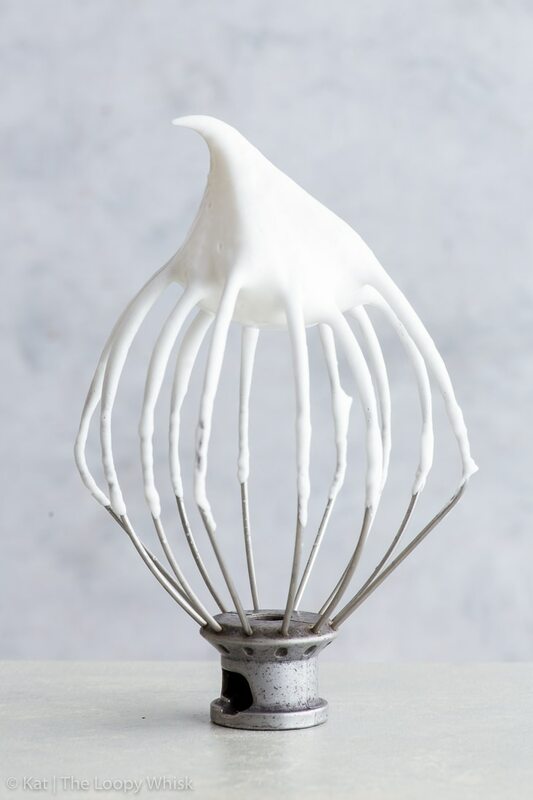 How long does it take to whisk aquafaba? In general, at least 10 minutes. 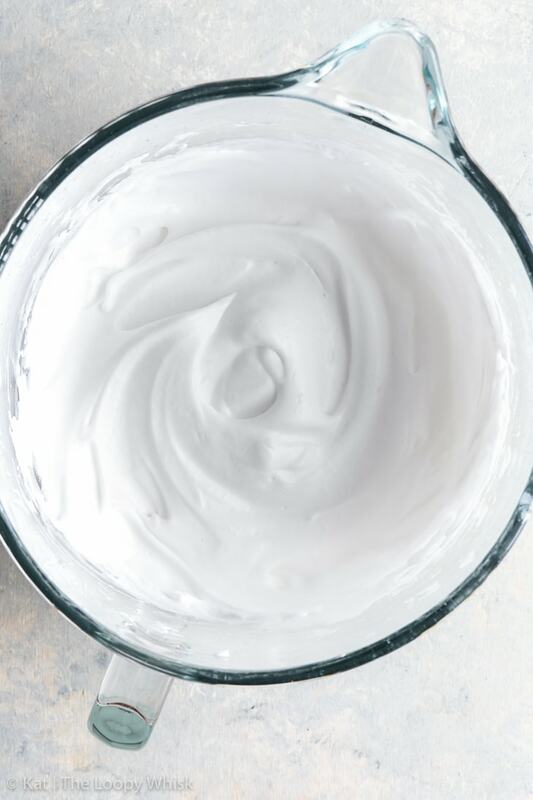 The exact time will depend on how concentrated or runny your aquafaba is, if you’re whipping it on its own or with sugar, how much aquafaba you’re trying to whip up… Just be patient and let it do its thing. 4. How much aquafaba is one egg? Three tablespoons of aquafaba is (approximately) equivalent to one egg, while two tablespoons of aquafaba is equivalent to one egg white. Or so I’m told. 5. What else can you make with aquafaba? In a heat-proof bowl above simmering water, melt the chocolate. Then, set aside to cool. In a stand mixer, or using a hand mixer with the double beater attachments, whip the aquafaba and sugar until the mixture forms stiff peaks. This will take at least 10 minutes (see post for more information). Fold the slightly cooled melted chocolate into the whipped aquafaba until it's uniformly incorporated and no streaks of chocolate remain. Spoon the mousse into serving glasses and chill for at least 1 hour. 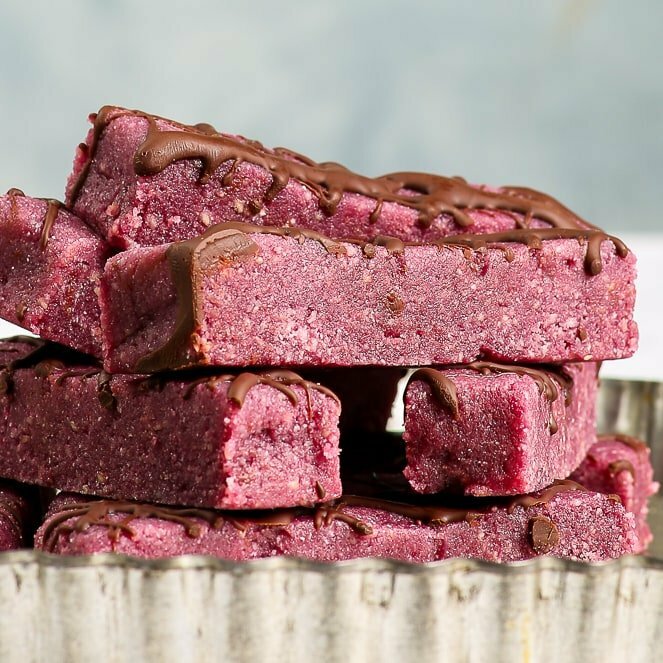 Serve with chocolate shavings and some raspberries. 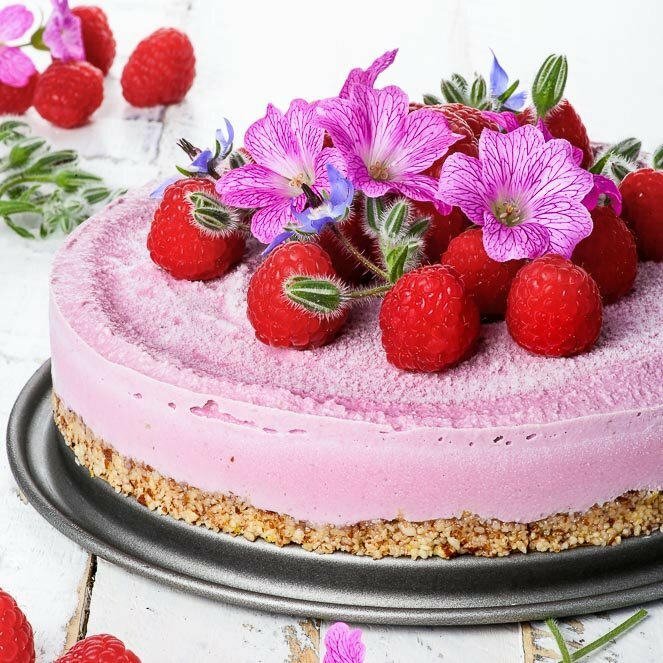 Looking for more delicious vegan desserts? I just made these and I am shocked and amazed! I was totally skeptical and am admittedly picky and judgmental, but this is so perfectly… Perfect. Can you please tell me what I’m doing wrong? I’ve made this twice now, and my mousse has a grainy consistency. It’s not satiny smooth like a mousse should be. Maybe I’m letting my chocolate cool down too much? When I add the melted chocolate to the whipped aquafaba, the coldness tends to solidify the chocolate. What should I do differently? Also, I am not using any sugar because my chocolate is sweet enough. The grainy consistency can be the consequence of your chocolate being too warm and/or your whipped aquafaba being too cold when you folded the two together – you need them to be close in temperature so that the chocolate doesn’t crystallise too quickly (this gives the grainy texture). Just make sure your aquafaba is room temperature and your chocolate has been left to cool a bit. 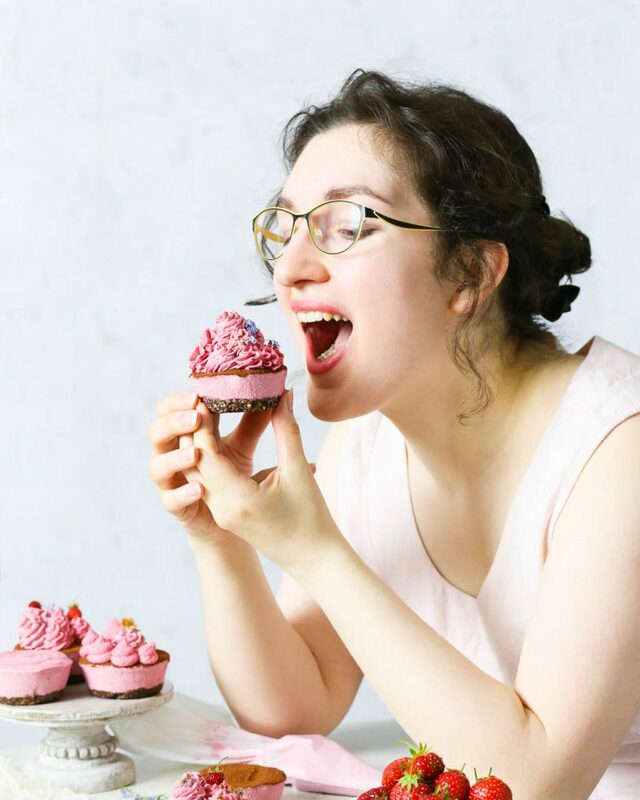 I would also recommend using a less sweet chocolate (with a higher cocoa percentage) as adding the sugar to aquafaba drastically improves the texture. I made this and tastes amazing but the texture is grainy. Did I split the chocolate when I folded it? It’s possible that your chocolate was too warm and/or your whipped aquafaba was too cold when you folded the two together – they need to be close in temperature so that the chocolate doesn’t crystallise to quickly (this gives the grainy texture). Just make sure your aquafaba is room temperature and your chocolate has been left to cool a bit. Why does my mousse deflated once I incorporated the melted chocolate? Any ideas why? hi, what might be the reason my perfectly whipped aquafaba/sugar mixture completely deflated when i tried to fold in the melted chocolate? It’s likely that your aquafaba was too cold and/or your chocolate too hot. Try having them at similar temperatures when you fold them together. Next post The Best Vegan Chocolate Brownies. Ever.